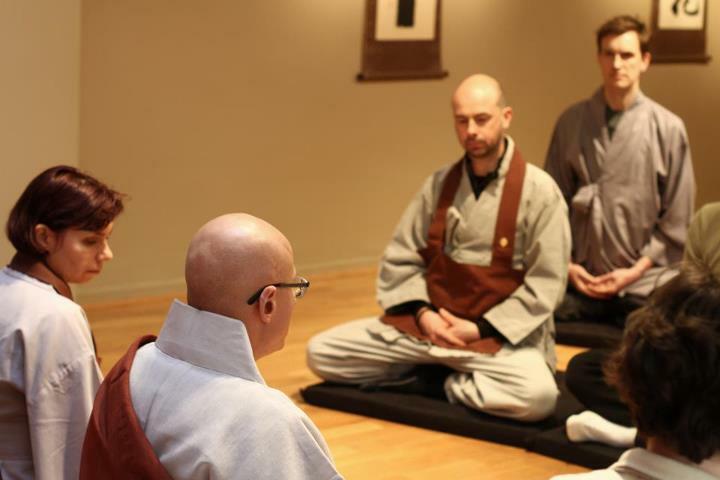 We are a Zen meditation group in Philadelphia, offering meditation instruction and practice, talks and discussion, in a warm and supportive environment open to all. We meet on Saturday mornings at Studio 34 Yoga in West Philly. We also host retreats in Philly, and participate in others in nearby centers. You can keep up to date about our events on meetup.com. Our activities consist of traditional Zen practices of meditation and chanting. Each practice teaches us to be fully in the present moment. Through them, we learn to have equanimity in all areas of our lives. Monkey Mind Zen is a satellite group of the Delaware Valley Zen Center, part of the Kwan Um School of Zen, an association of more than 100 Zen centers and groups, founded by Zen Master Seung Sahn, who was among the first Korean Zen Masters to live and teach in the west. The heart of the Kwan Um School of Zen is the practice. Zen Master Seung Sahn very simply taught “Don’t Know”. This means in each moment to open unconditionally to everything that presents itself. By doing this, our innate wisdom and compassion naturally breathe and flow into our lives. The guiding teacher of Monkey Mind Zen group is José Ramírez JDPSN, who has been practicing for 20 years in the Kwan Um School of Zen, receiving Inka in April 2009. The group was started by Steven Valerio Jr., a Dharma Teacher who has practiced in our tradition for 9 years. Various members share in different organizing responsibilities as needed; we welcome your involvement. Teaching and ethical guidelines for the group are set forth by the Kwan Um School of Zen’s teachers’ group.